If it rides as good as it looks you have a winner! She's beautiful!! Dave that is one sweet dinghy . Prettiest boat thing I`ve seen in a while, congratulations. That's a beauty. How about some pictures of her in the water. That is one VERY nice GIG! 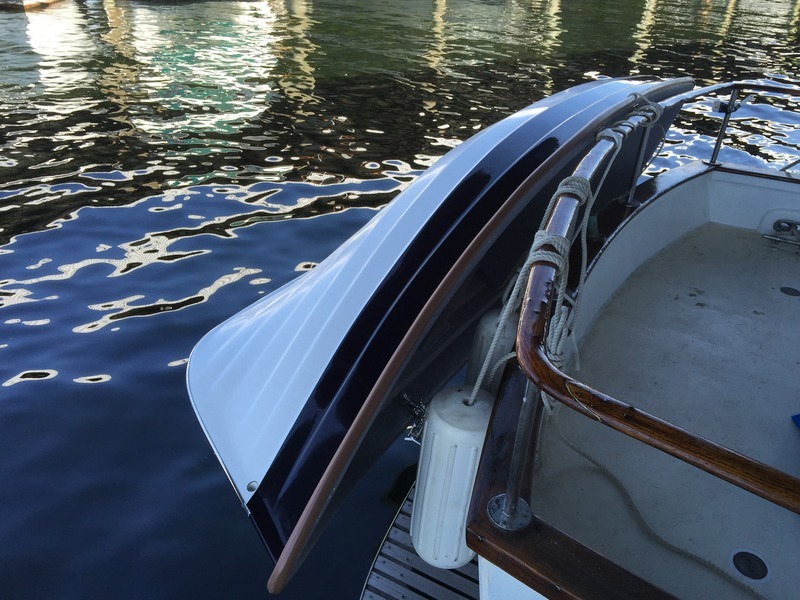 Your daggerboard slot is plugged. Don't tell me you purchased the non-sailing version! Good gosh Dave, that is way more than half the fun. PS: the stove is still here if you still want it. What kind of anchor does it have? Thanks guys! I have the sail kit prepped, meaning the dagger-board trunk is there, but plugged until I purchase the rigging, sometime later this year. That is a high priority. I will get a tanbark sail for it. I have a Fortress FX7 for the dinghy. Pics on the water soon! Good news. Dinghy sailing is one of my favourite activities, whether in the marina or at anchor. That is just too cute. It looks nicely finished. Very nice job. That's a good point. I found out the hard way that lines wrapped around the varnished rails will wear through the varnish. I will be checking out stand off rods. Do I need one or two? The nice thing about this dinghy, it's very light, <95lbs. Dave you're killing me man . I want to get sail kit ordered for my Trinka also . It was set up at factory for sail but somehow the sail rig disappeared with all the previous PO's . Now you got me thinking tanbark . You're gonna break me . 95 lbs that's nice . Mine is 140 and I feel it when I hoist it up the davits .Great looking dinghy and the tanbark will really top it off nice . Marty, if I recall your Trinka is 11'? The Captains Gig is 9.5' which accounts for some of the lightness. I'd liked longer, but my transom is just over 10' and wanted to avoid overhang. 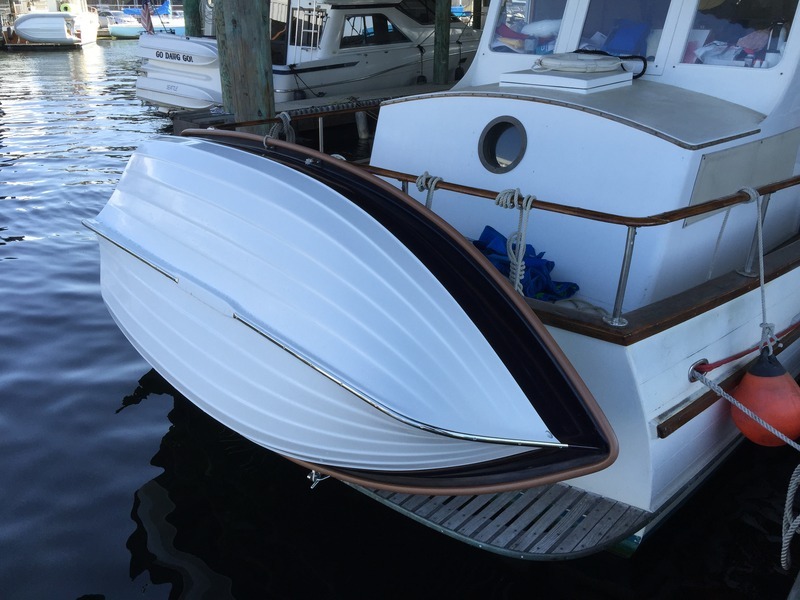 It's 10 ft or just under 10 and takes up most of my transom as well .Bruce Bingham designed the Trinka . He also designed the 20 ft Flicka.